sweetsugarbean: Love! Links! 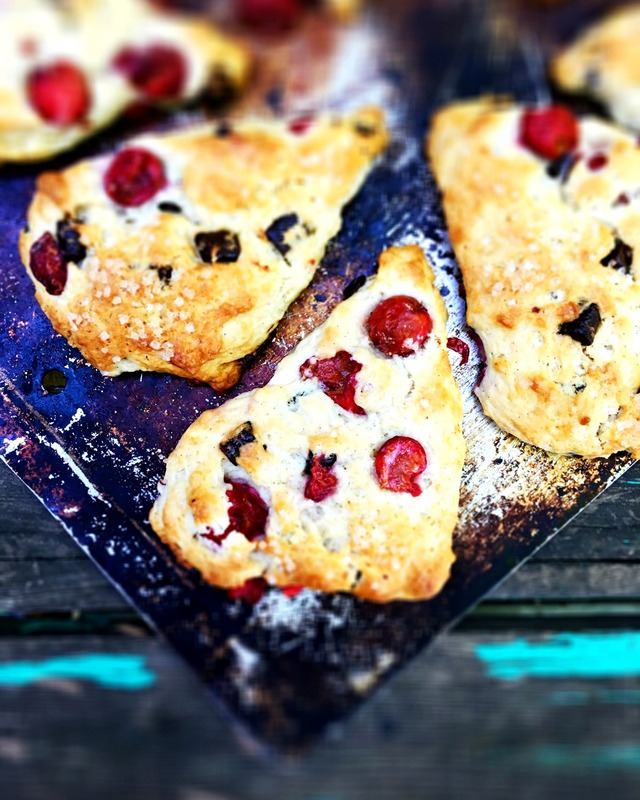 Plus, Sour Cherry & Chocolate Scones! Love! Links! Plus, Sour Cherry & Chocolate Scones! Hello. It's me. Renée. The blogger who has been missing in action for quite some time. It's been forever since I last posted, and what can I say? 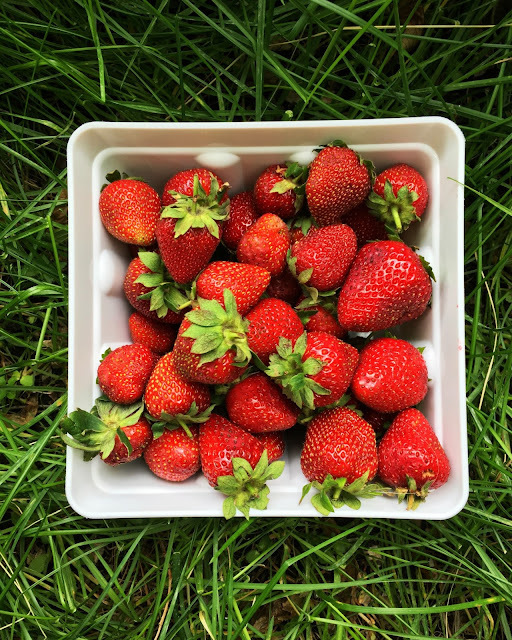 The summer has been keeping me occupied - with cookbook edits and work and the yard and visitors and small bits of travel here and there. Oh, and I'm in love. With a handsome, kind, sweet, funny man who lights up my life every single day. This is the kind of love I've been looking for, and just when I had nearly given up hope on finding it, there he was, right under my nose. I'm terribly happy. The kind of happy that makes people tell you you're glowing. The kind of happy where you can't stop smiling. It's been nearly 3 months and I'm glowing and smiling all the time. But, especially with him. When we're together it's kittens and rainbows and lightning bolts and, well, magic. It's love. So, now that you know my story do you forgive me for my absence? I thought so. 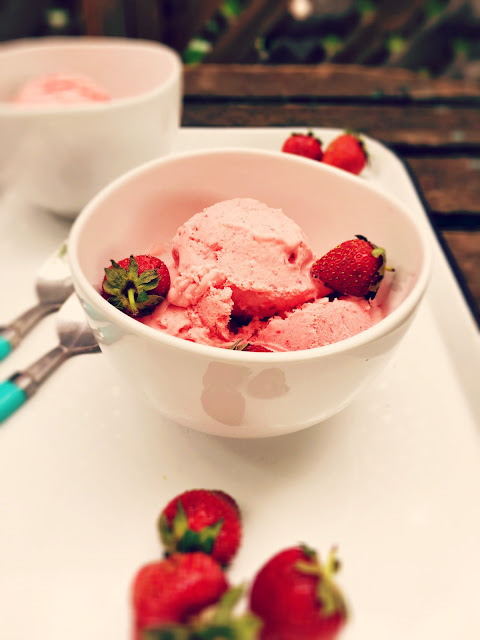 While it is true that I have been slacking off with my dude, going for walks and out for dinner, and cozying up on the couch as we watch his favourite superhero movies and The Great British Baking Show (I'm obsessed), I have also been working a lot on some fantastic recipes, some of which I'm going to share with you now. 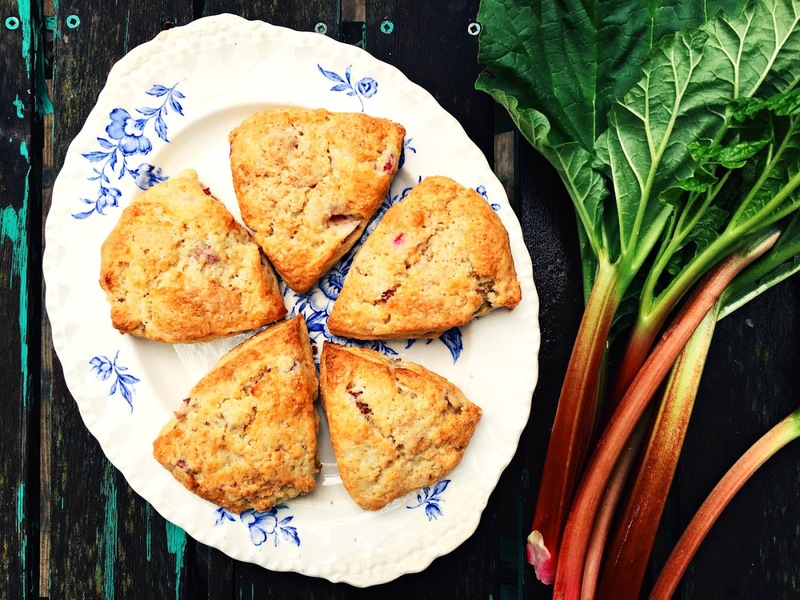 Before I go any further, I have to tell you about these scones, made with sour cherries my friend dropped off on my doorstep just the other day. I love friends who forage fruit for me! 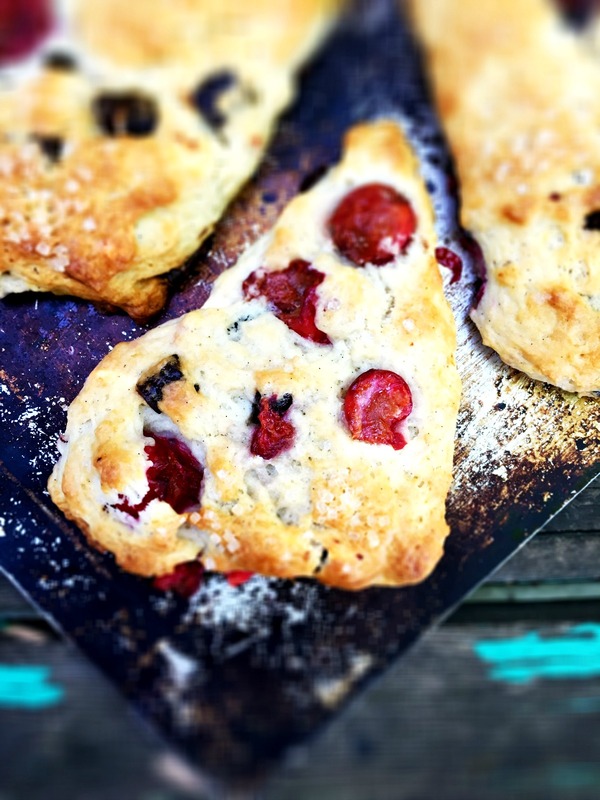 The scones come together in no time, and oh my, is there anything better than cherries and chocolate? Tender, light, and bursting with fruit, you could add anything seasonal right now - peaches, apricots, plums, raspberries, would all be wonderful. Preheat the oven to 400F. Line a baking sheet with parchment paper. In a large bowl, stir together the flour, chocolate chunks, sugar, baking powder, and salt. In a small bowl, beat together the whipping cream and vanilla. Pour the cream into the dry ingredients, stirring just until combined. If the dough is too dry, add a splodge more of whipping cream. Stir in the sour cherries. Lightly dust your counter with flour, dump the dough onto the counter and shape it into a circle, about 1 inch thick. Using a sharp knife, cut the dough into 8 wedges. Place on the prepared baking sheet and brush the tops with a bit of whipping cream. Sprinkle with coarse sugar. Bake for 22-25 minutes until the scones are golden brown. Makes 8 scones. I also made these scones with rhubarb and ginger - so good! Here are some links to other stuff that has been keeping me occupied lately. See, I have been busy! Summer is the time for frozen treats, and I'm in love with this quick and easy strawberry sorbet. 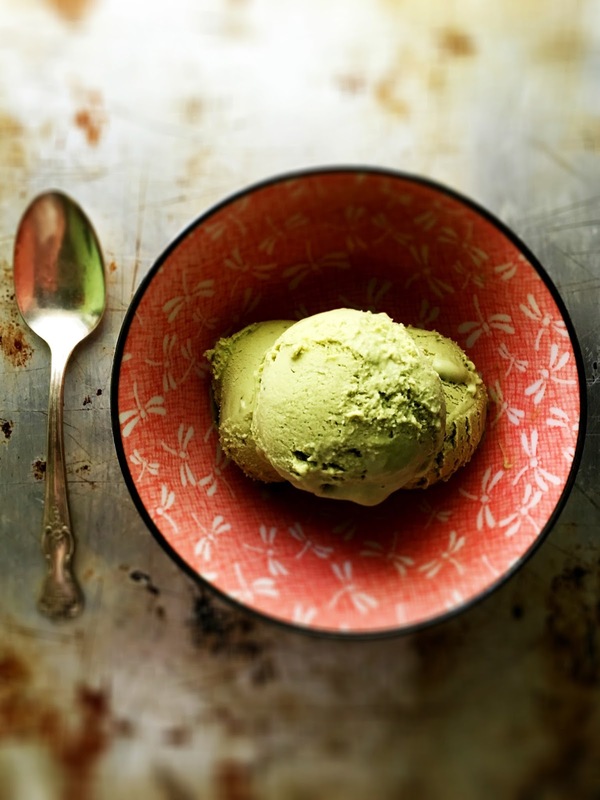 Matcha is super trendy right now, and it's pretty dreamy in ice cream. Plus, it's no-churn! Don't chase the ice cream truck down the street! Make popsicles at home! 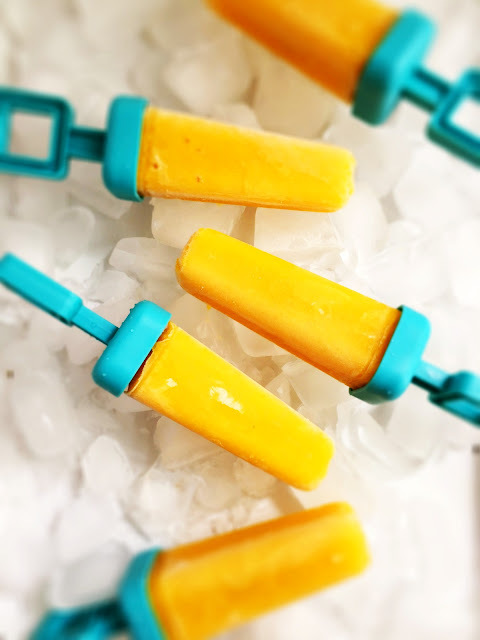 These mango, ginger and lime popsicles are super refreshing, and just look at that colour. Watermelon is amazing in salad with feta, mint and lime juice. 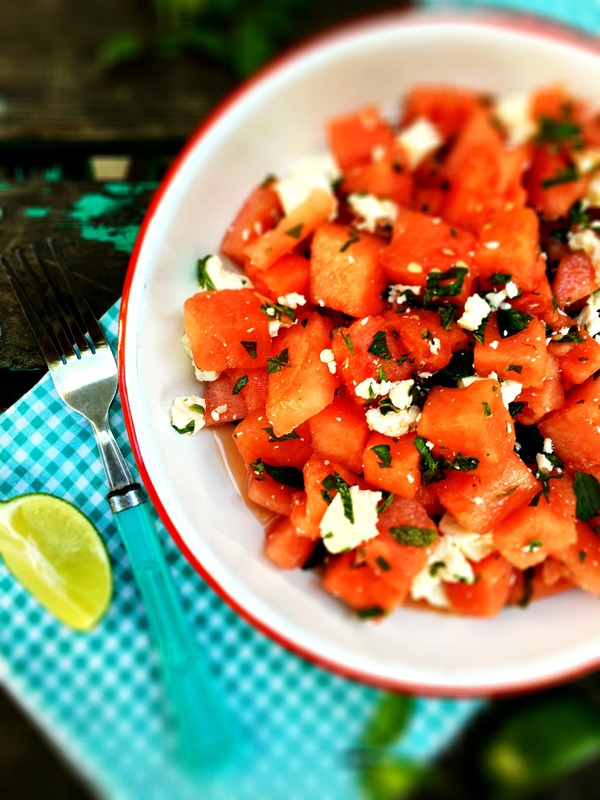 Summer in a bowl! 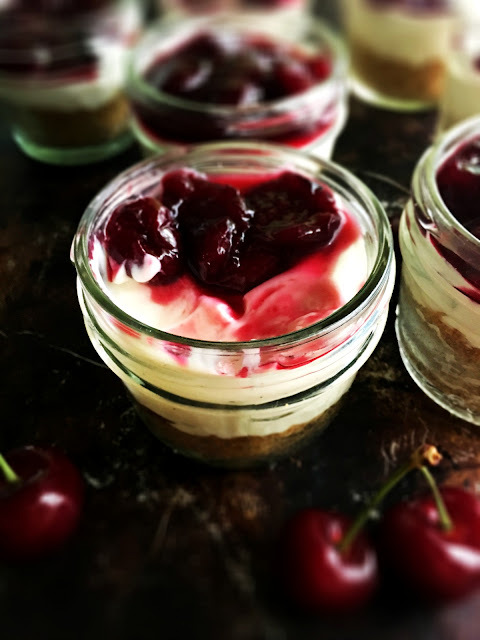 Cherry cheesecake in a jar, plus a review of Julie's latest cookbook. I'm obsessed with this recipe. 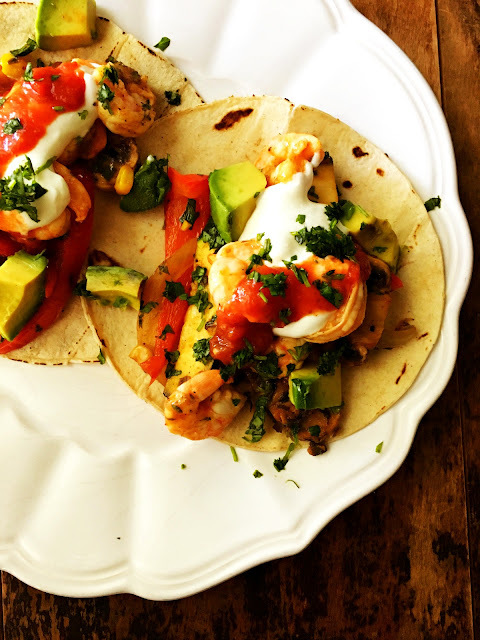 Shrimp fajitas! Fun to say, messy to eat! 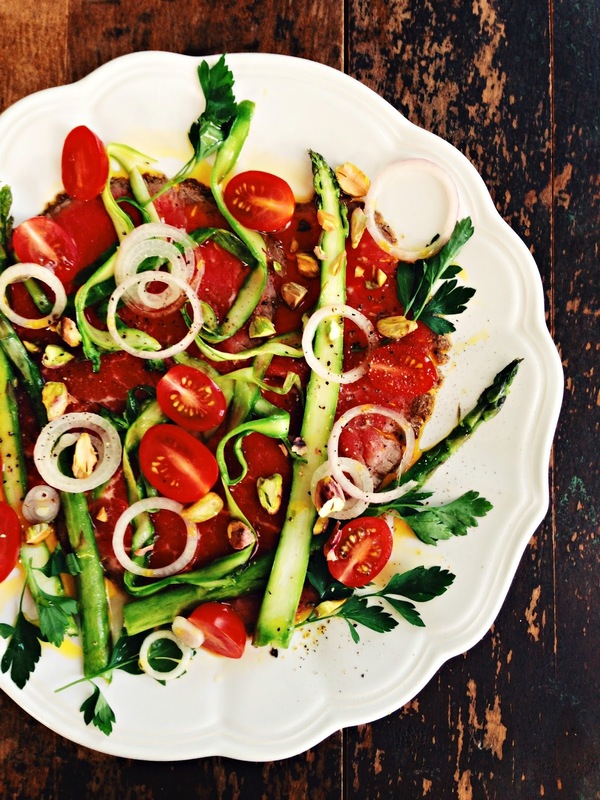 I love ordering beef carpaccio when I go out to eat, but it's super easy to make at home, too! 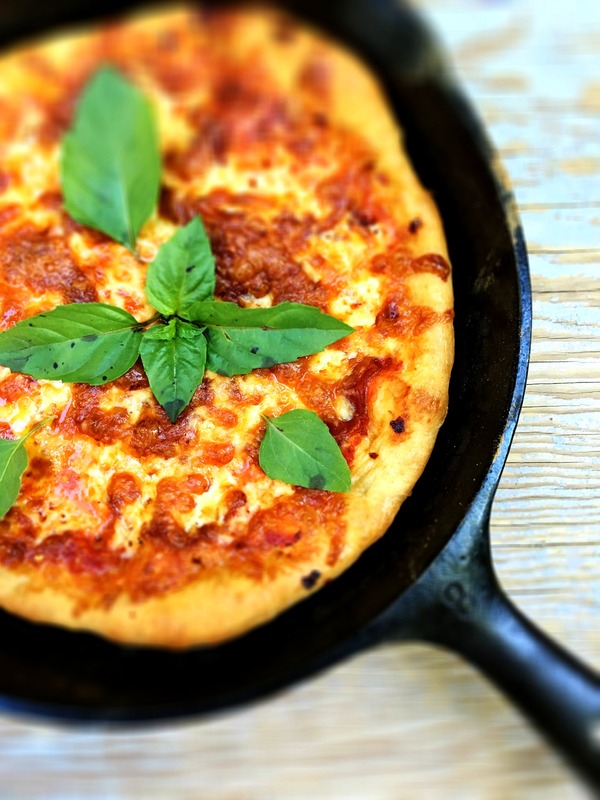 Got a cast-iron skillet? It makes the best pizza. 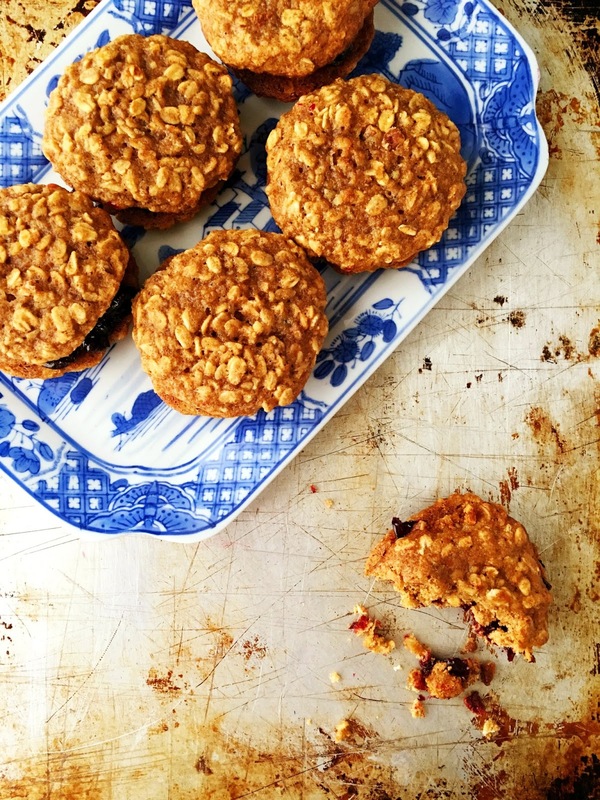 Sour cherries are also magic in the middle of these oatmeal cookies. I also contributed several recipes to the latest issue of Lentils for Every Season. And, I'm currently working on a batch of slow cooker and one pot lentil recipes for the fall issue. There's some good stuff happening in the kitchen as we speak, plus with the weather being so warm right now, the slow cooker is a life saver in my little house with no air conditioning. There you go! Have fun with these recipes, and I promise I'll be back before the month is through. My guy loves pie, and I love making pie, so I think there will be pie soon. The question is what kind? Peach, cherry, rhubarb? Stay tuned for that. Happy summer, friends. Soak up that sunshine! Splodge will now become part of my vocabulary :) These look divine, and I happen to have both cherries AND rhubarb ready to use - yay for summer! Beef Carpaccio....my favorite!!! Thanks friend. Any you know me....I want deets on the love life when you have time to call!! Soooo incredibly happy for you.